Today has been a good example of the so called typical weather of April. This morning was sunny and relatively warm. We changed from winter to summer tires on the car. At lunch time dark cloads came in from the north, and it started snowing. 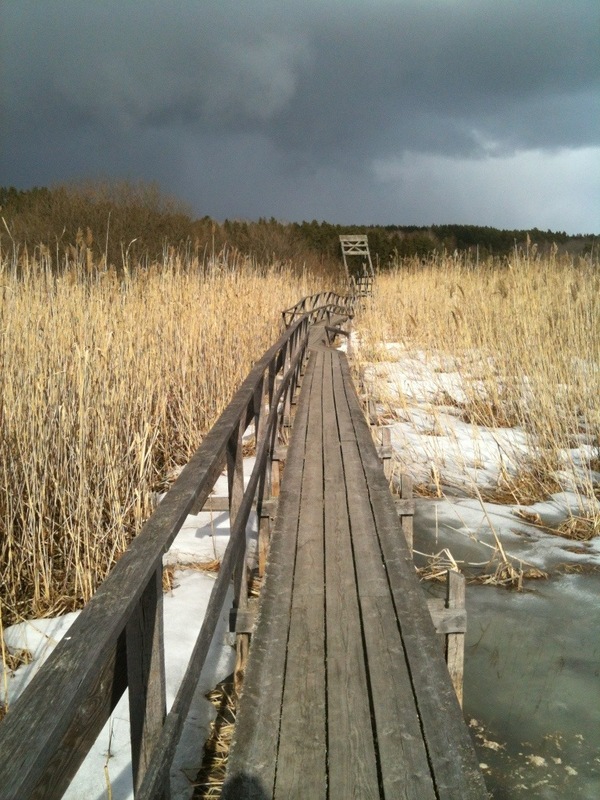 It didn’t stick, so we decided to take an excursion to the local bird sanctuary – Hjälsta Viken. On the way the car nearly got stuck in the accumulated snow on a shady, high point in the road. We did get through of course. There, on a sunny slope we found our favorite sign of spring. A group of blue liverwort – blåsippa (Anemone hepatica syn. 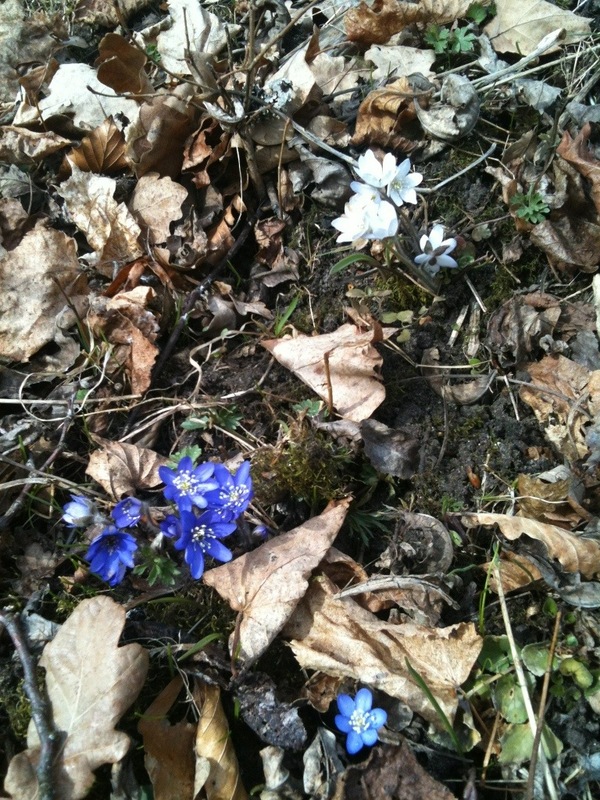 Hepatica nobilis) – and a white one too. 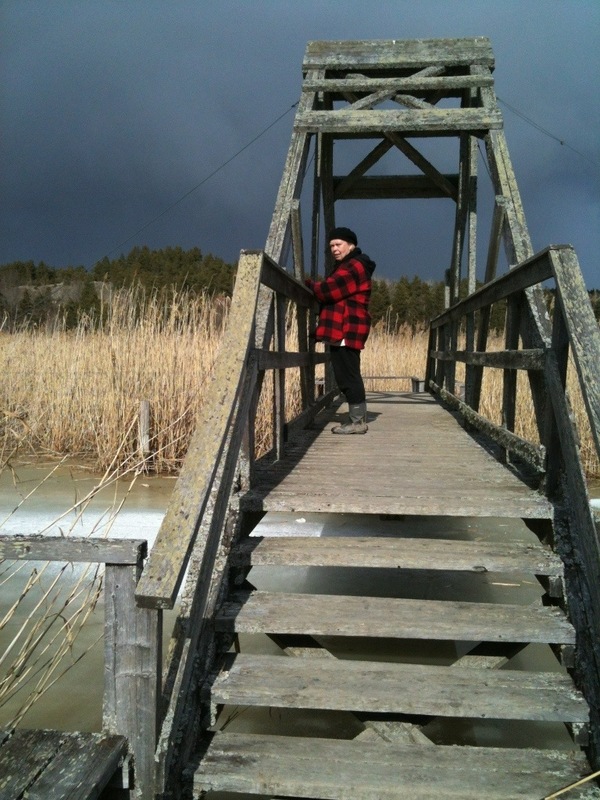 Then we took a walk across the old lake that is becoming a swamp loved by birds and bird watchers alike. There were not many birds to see for all the ice and snow, but with the intermittent warm and cold, sunshine and snow, light and dark it’s been a dramatic day, and it looks like it will keep up through the night. 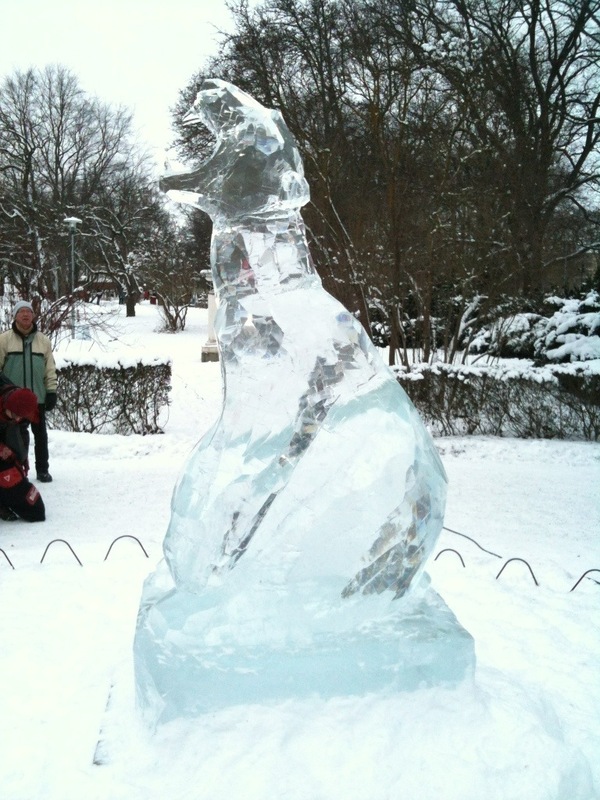 This weekend the Uppsala Ice Festival opened. We were there yesterday to have a look. Each year the city of Kiruna and Jukasjärvi build a hotel complex including a chapel, teater and a bar completely in ice. Even the tumblers for the drinks are of ice. Each room is built in ice and then sculpted by one or two artists. 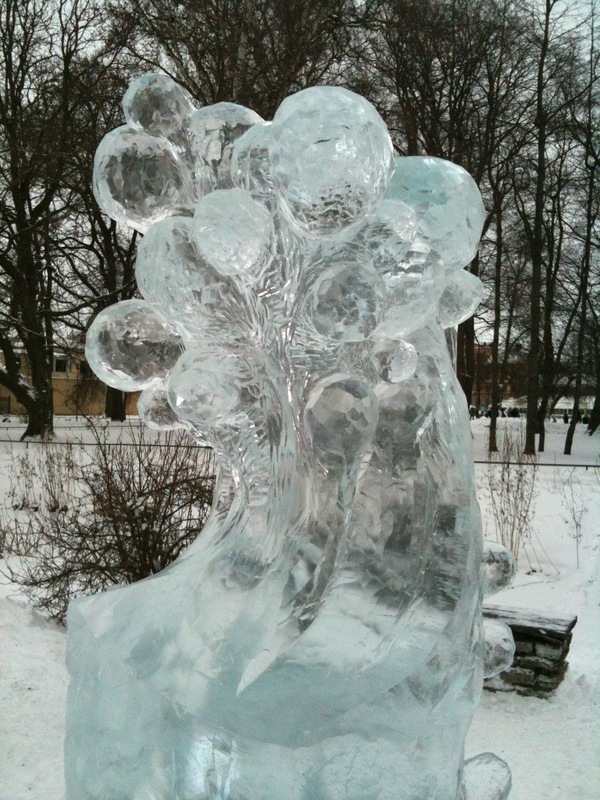 The ice festival in Uppsala is an offshoot from the ice hotel in Jukasjärvi. 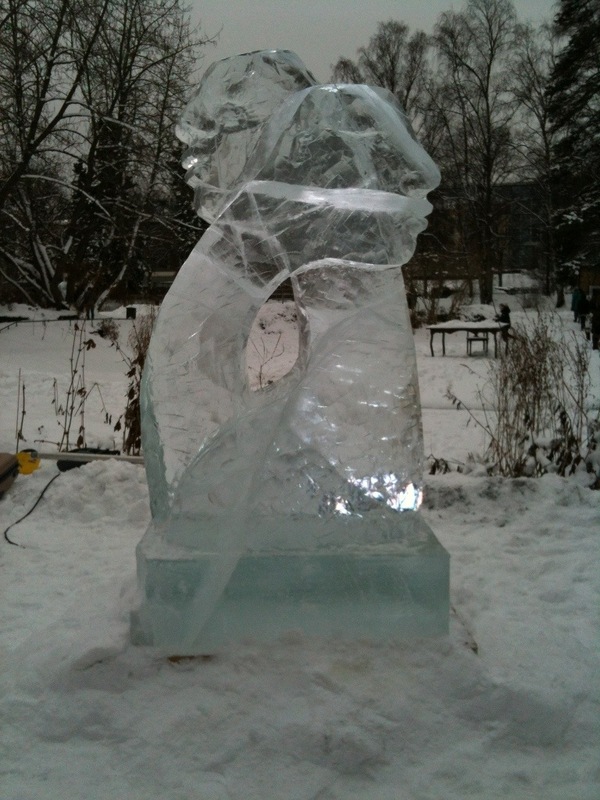 The ice is from there and quite a few of the artists have worked at the yearly ice hotel. I’ll have a wolfpaw please! Most of the snow has melted and now it’s gotten cold again. 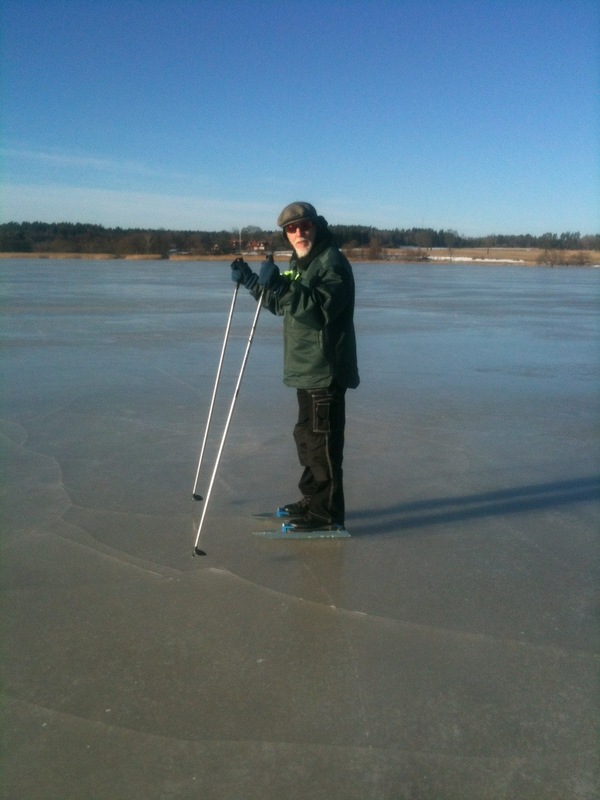 The lakes are frozen and smooth, which is perfect for skating. The weather was beautiful yesterday, so I couldn’t say nay to skating even tho I don’t really care much for it. My ankles never seem to get used to the wobbly blades. It’s called long distance skating but I don’t seem to get very far. 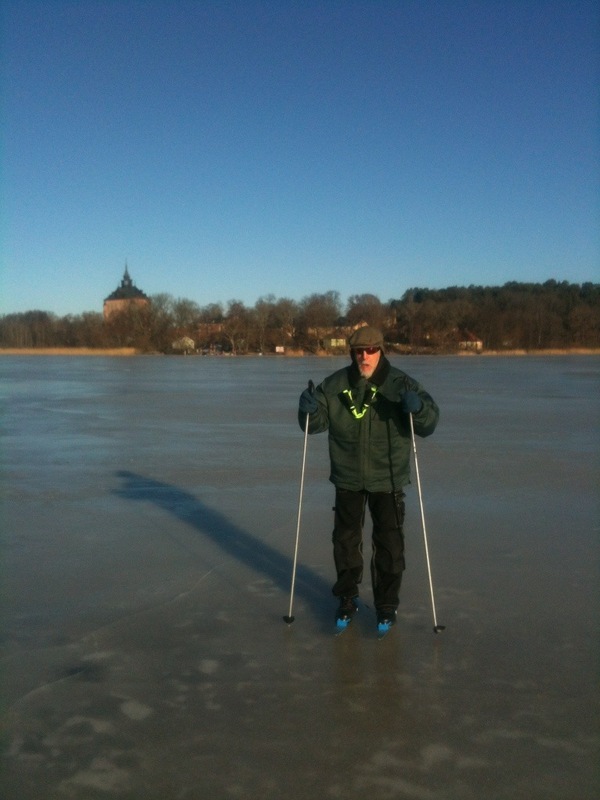 I did, however, manage to skate to the other side of the lake to visit the old homestead where I lived many years ago. It has dilapidated a bit since we lived and gardened here in the 70s. 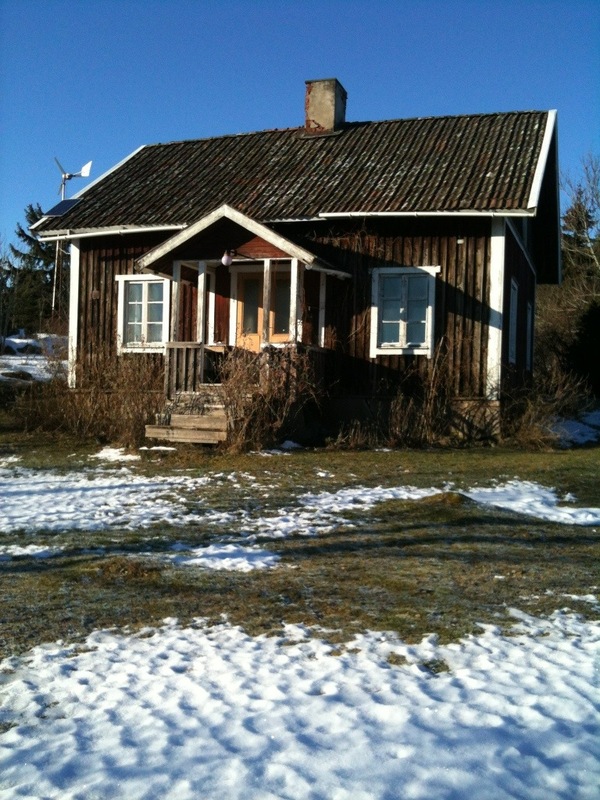 At present it is used by a couple of friends of ours as a summer house. 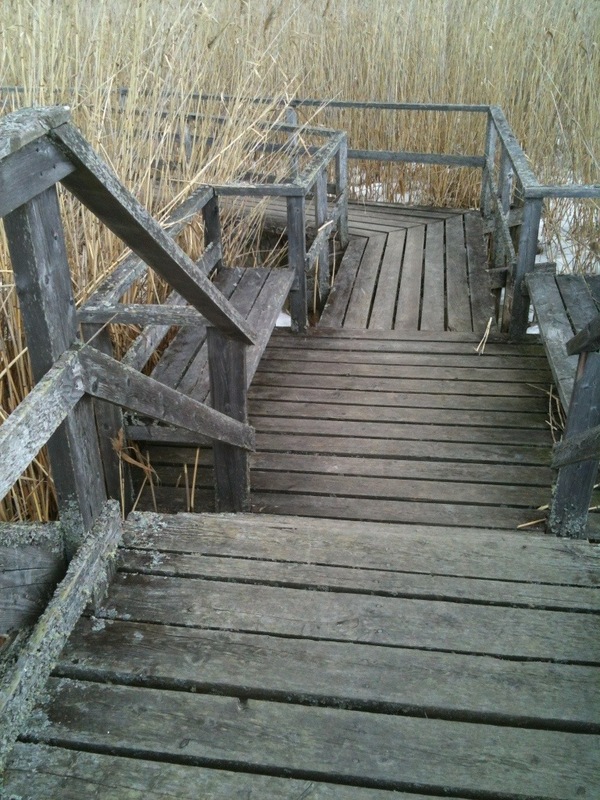 They seem to immensely enjoy the state of disrepair and overgrown nature. I remember the first time we made sauerkraut. 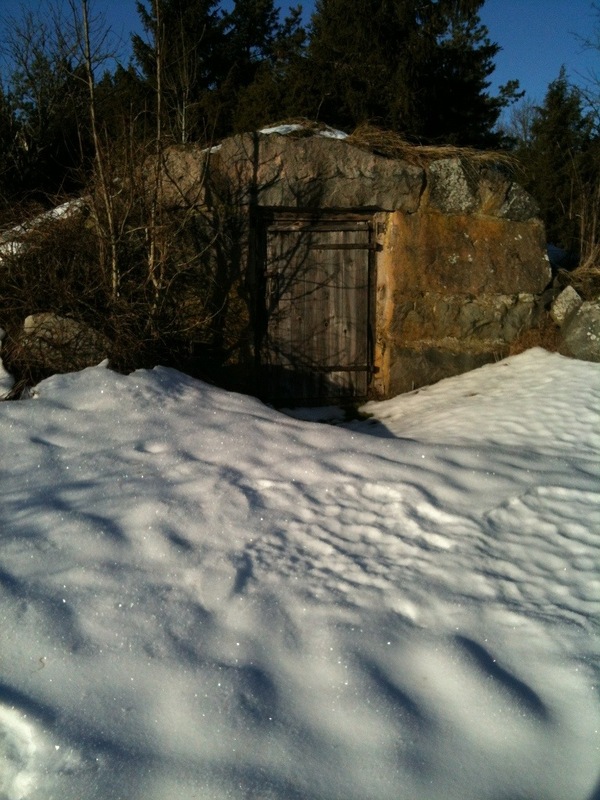 It was in a large wooden barrel kept in this cellar. 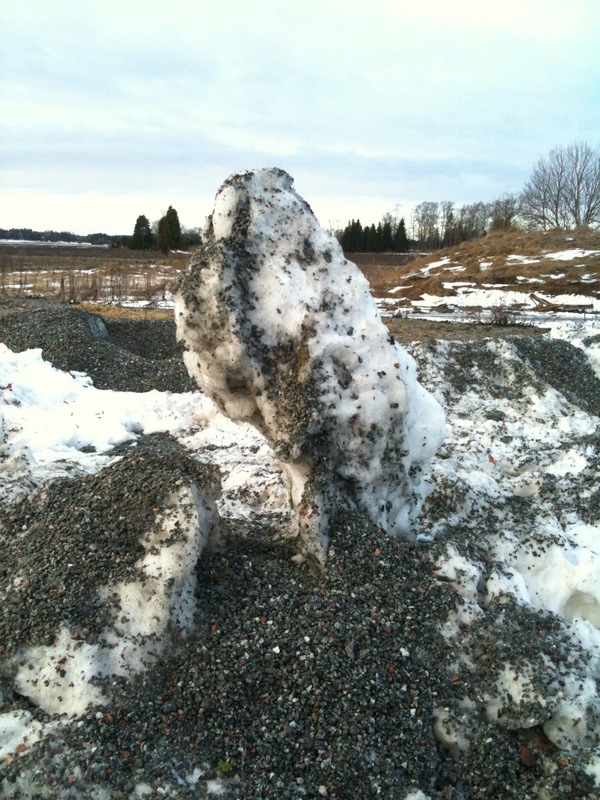 Most of it rotted into a stinking mass that ended up on the compost. We have learned a lot from our many mistakes. Last week I went skiing everyday. 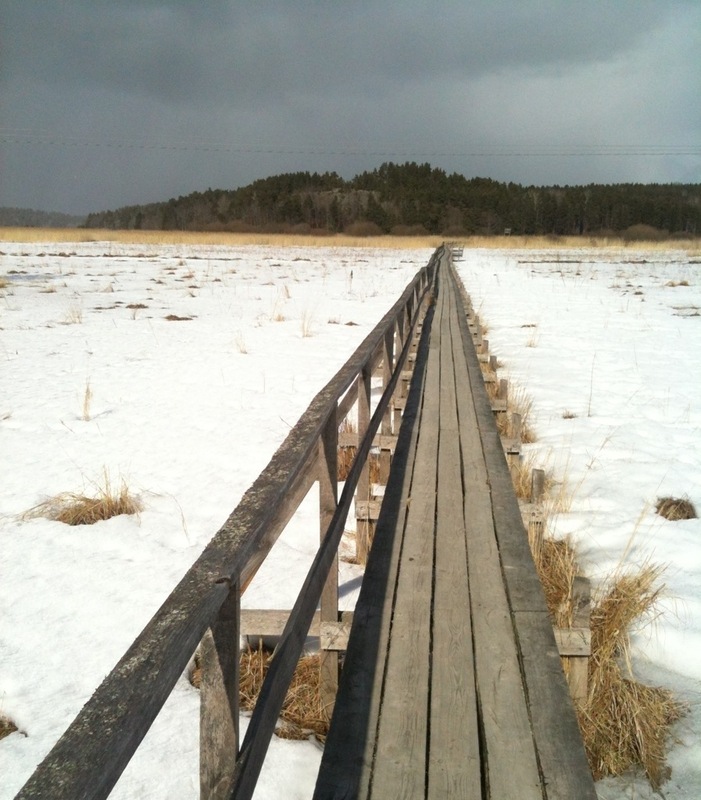 This week is a big thaw. Hopefully it will get cold and snowy again next week for more skiing. Rauk is a swedish word for a stone column formed by natural erosion. They are often found along shorelines like on the island of Gotland and the Pacific shores of Washington State. 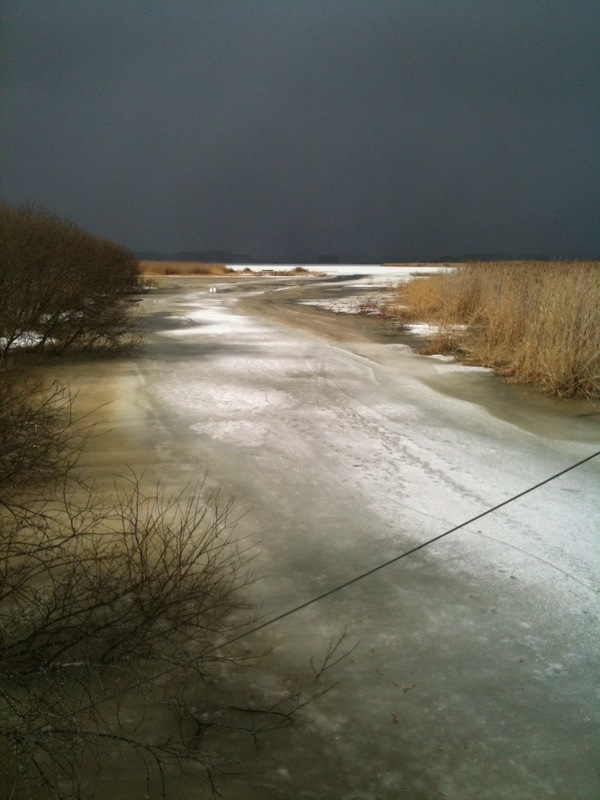 Here we have one in snow, ice and gravel plowed up by Farmer Eriksson while keeping the farm roads in winter trim. Near the bus stop is a raised stone that will last much longer. 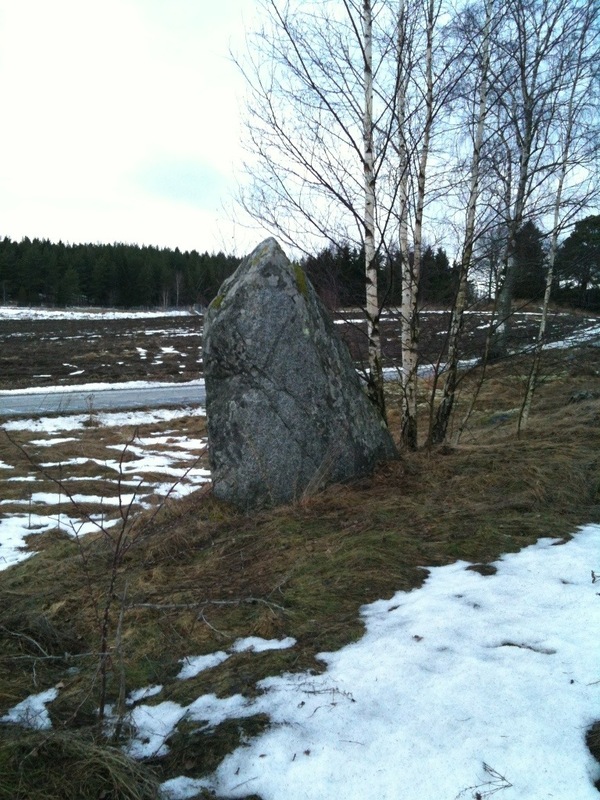 It is a so called bauta stone from the time before the rune stone period. No one knows why it was raised but most likely as a memorial. It has no inscriptions on it and is situated in a prehistoric grave yard. 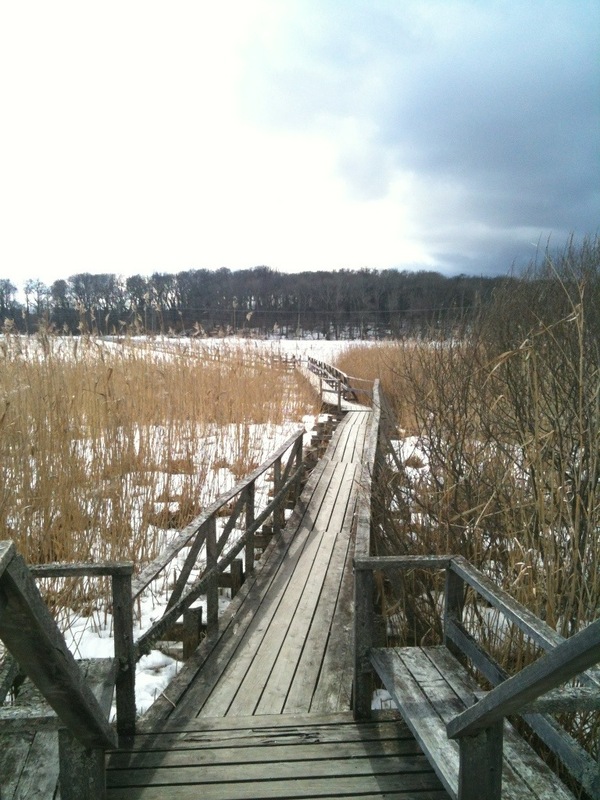 The farm here – Djurbygård – has a long history and prehistory. In fact, our house was built on the edge of a grave hill. Around here the cycle of life and death are ever present.